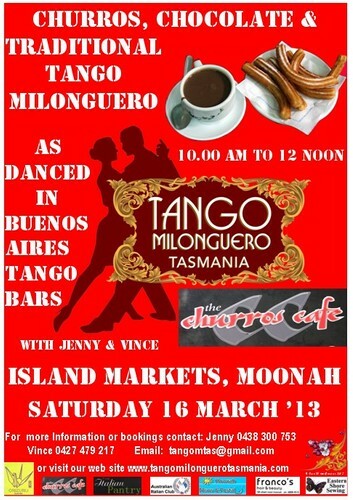 Tango Milonguero Tasmania will dance at the Churros Cafe in the Island Markets, 54 Gormanston Road Moonah. Jenny and Vince extend the invitation to all tango dancers to join in and dance with the traditional milongueros music from Buenos Aires. Beginners interested in learning welcome.